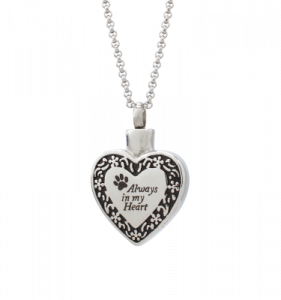 Within this section is a range of tailored products that we offer that allow you to remember your beloved pet in your own way. 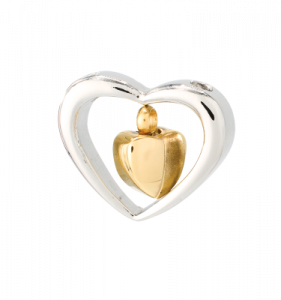 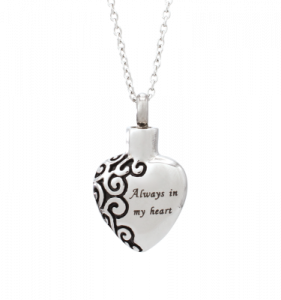 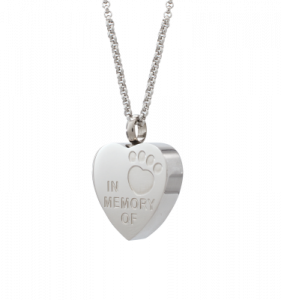 The Truly Treasured collection are hand crafted pieces that have the ability to hold a small amount of cremated ash. 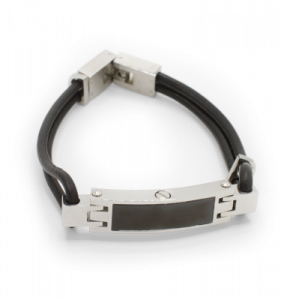 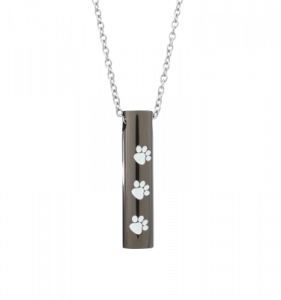 Each piece includes a 20” rolo style chain ( where applicable ) and can include custom engraving. 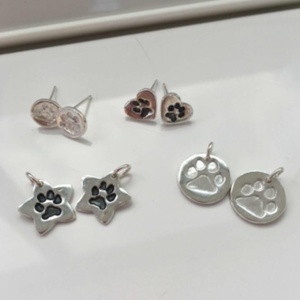 We work along side Sheffield based silversmith Dawn Rowbotham to produce jewellery that couldn’t be any more personal and unique to your pet. 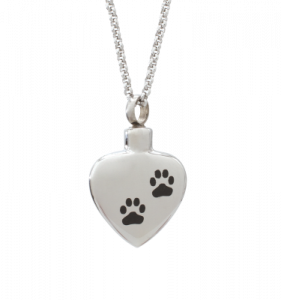 Your pets Pawprint is gently taken using a non-toxic wipe and reactive paper, this is then miniaturised and imprinted into solid silver. 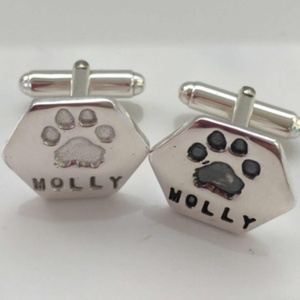 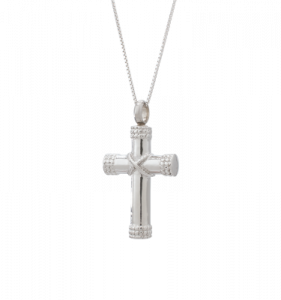 At the same time a small amount of ash is carefully encased into the silver in such a way that insures that they are captured forever and your jewellery. 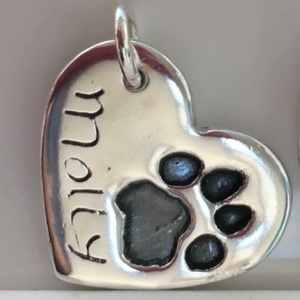 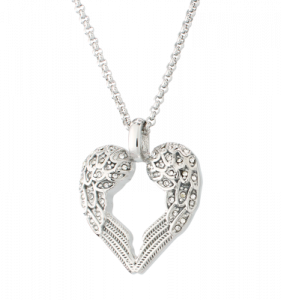 Dawn works with great care using precise pawprints – so that each piece is totally unique and special to you allowing the memory of your precious pet to be with you always. 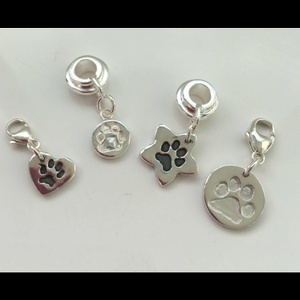 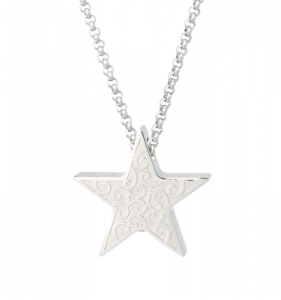 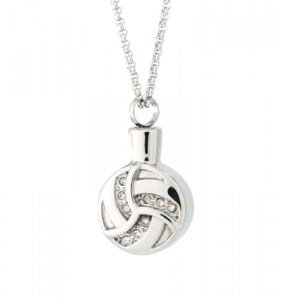 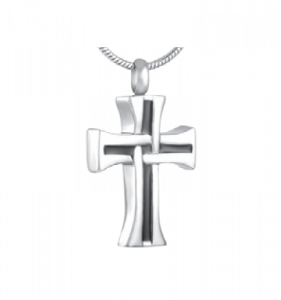 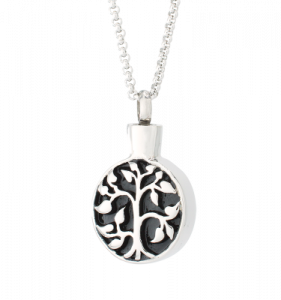 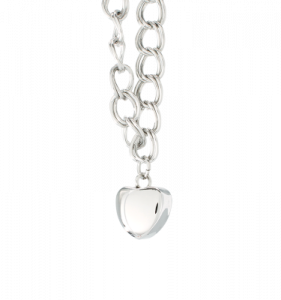 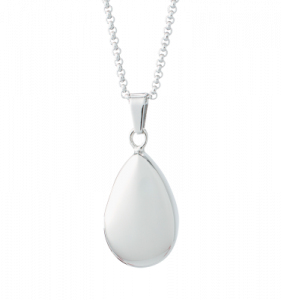 The range includes pendant, earrings, cufflinks, charms, beads and stud earrings.